Shop your new bracelet with quote here. Combine it with other arm candy! The bracelets with texts are available in the colors silver, gold and rose gold. 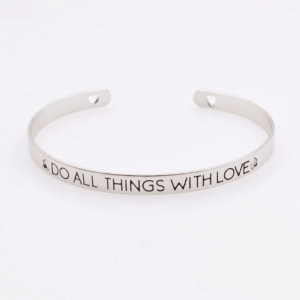 Are you looking for quote bracelets? then look no further. We have beautiful bracelets with fun and inspiring texts. 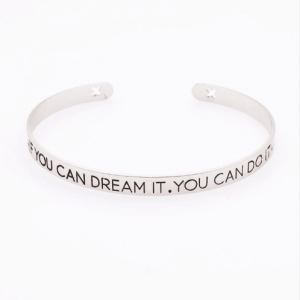 We have beautiful quote bracelets with texts such as, if you can dream it you can do it. This way you always remember that you never have to give up. Do you prefer boho style jewelry? 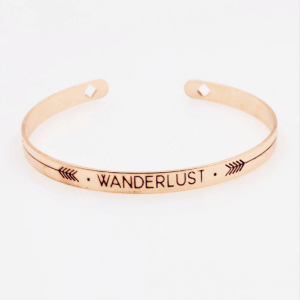 then the bracelet with the text wanderlust is perfect for you. 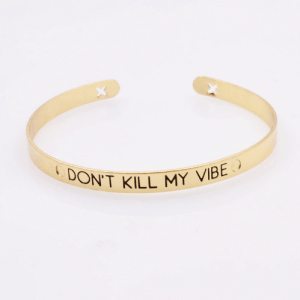 The bracelets with text are also perfect as a gift. 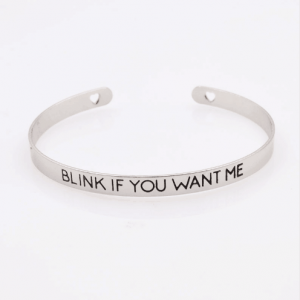 Wear multiple quote cuff bracelets together that have your favorite lyrics. 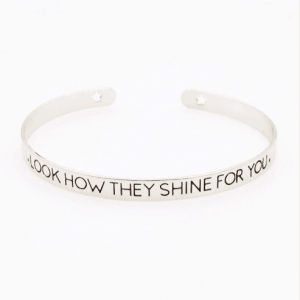 These quote bracelets for women are available in the colors silver, gold and rose gold. You can wear your new bracelet with text separately, but it will also look nice next to a watch or other arm candy. Combine your new quote bracelet with, for example, a beaded bracelet or a minimalist bracelet. By wearing multiple bracelets together you can make your own arm party. 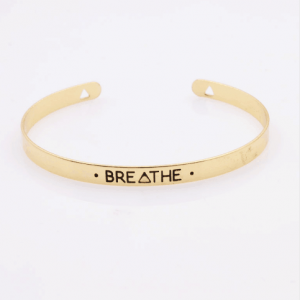 Combine your new bracelet with text with other nice jewelry from Aphrodite. For example with small stud earrings or drop earrings. The chain earrings and the hoops earrings are also very popular. Would you like to be trendy? then earrings with pendants are perfect for you. Do you prefer striking earrings that will take your outfit to the next level? then you have to choose the large earrings from Aphrodite. Also with the bracelet with text a nice layer necklace will look perfect. 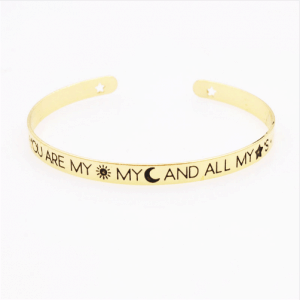 With a golden quote bracelet you can combine a golden layered necklace. The same applies to a silver bracelet with text. Do you prefer to make your own double necklace or wear a necklace that is not too striking. Then the minimalist necklaces from Aphrodite are perfect. We have beautiful necklaces with pendant and without. The classic necklaces with heart, star, moon, bar and circle should certainly not be missing in your jewelry collection. Does your outfit need a boost? then you should definitely wear a statement necklace. 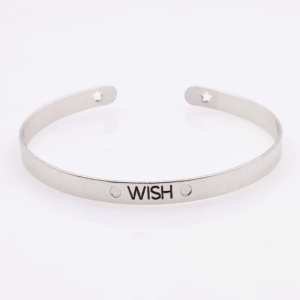 You can also wear your bracelet with text in combination with a cool choker necklace. We have nice chokers for the summer. For example the choker with a shell. The choker necklaces from Aphrodite are available in the colors silver, gold, black, white, brown and red. Our chain choker necklace with three different chokers is very popular. Your fingers must of course also be decorated. Wear your quote bracelet with the beautiful trendy rings from Aphrodite. Our nice rings are available in the colors silver, gold, rose gold and black. We have stylish minimalist rings. Also the classic subtle ring with heart, star, circle and moon design should not be missing in the jewelry box of the fashionista. Sign up for our newsletter! this way you stay informed when there are a sale and giveaways. Your outfit is really complete with a scrunchie from Aphrodite. We have scrunchies in various beautiful colors such as, black, white, pink, blue and gold. In the summer the anklets should not be missing in your wardrobe. We have rope anklets and chain anklets in our collection. You can match the color and style to your bracelet with text.